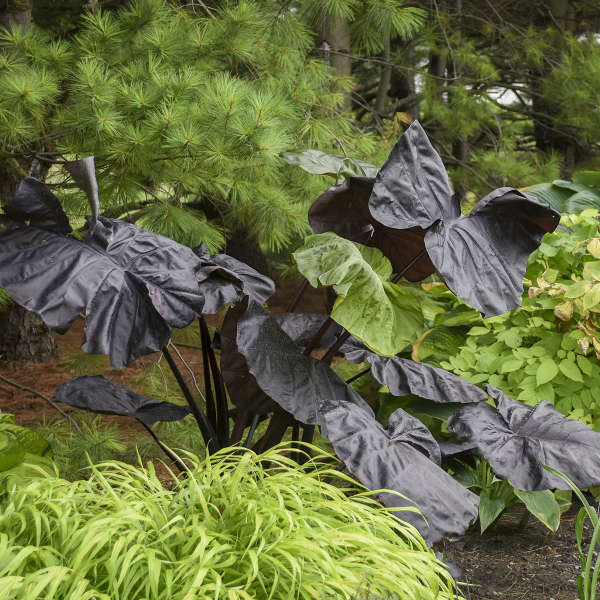 Colocasia 'Black Swan' PP30318 | Walters Gardens, Inc.
Do you love the gigantic leaves of 'Thailand Giant' but wish it came in a different color? 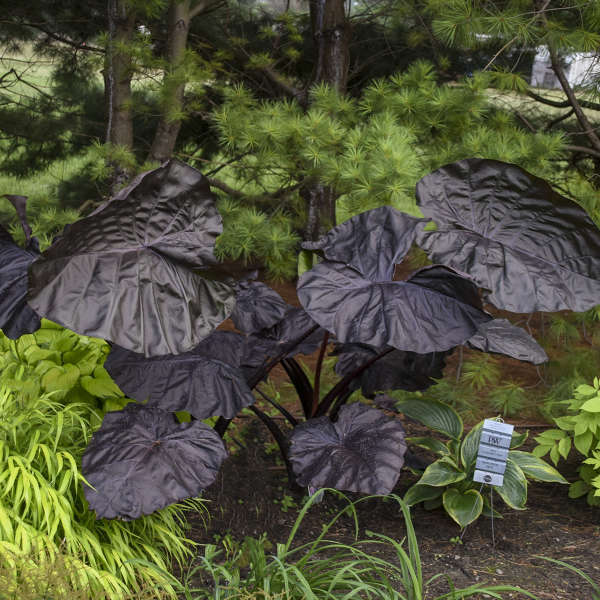 Your wish has been granted with the huge, elegant leaves of 'Black Swan'! Although it's not quite as large as 'Thailand Giant', the dark, near-black leaves will still make you catch your breath in amazement. This plant forms an upright, arching habit which showcase its jet black, glossy stems, creating a singular basal clump. 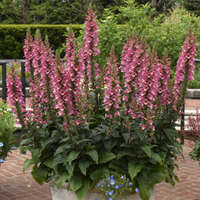 This is the perfect plant for combining with brightly colored annuals in large containers. When growing these plants in our greenhouse, they colored up nicely even under UV inhibitor plastic. 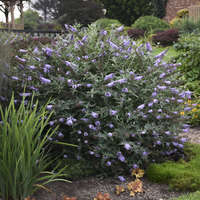 This was a pleasant surprise since often purple foliage plants require direct UV exposure to bring out the darker pigment. 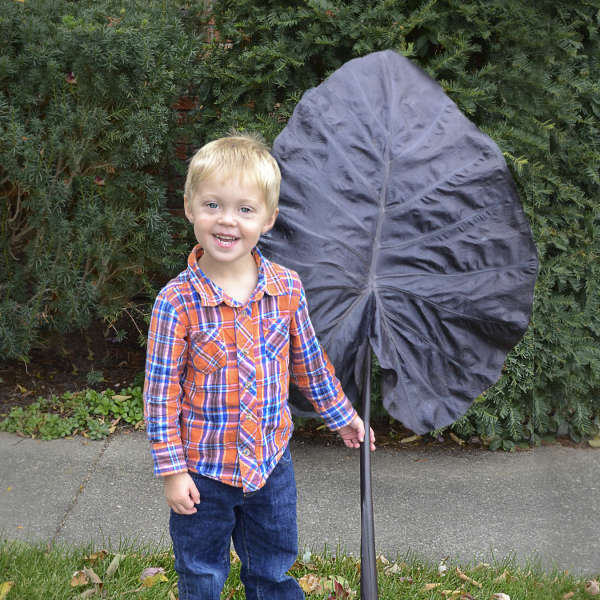 Colocasia is an outstanding tropical plant that is often grown as an annual in colder zones. 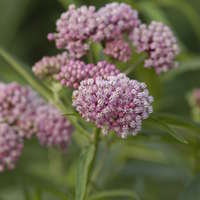 It is a moisture loving plant that needs consistently moist to wet soil to perform best and achieve its maximum size. Colocasia will also grow in shallow water near the edges of ponds or bogs. 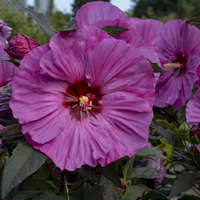 This plant prefers full sun as long as sufficient moisture and humidity are provided. 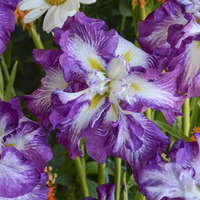 In dry climates, it is better sited in partial shade. Colocasias are heavy feeders, so the soil should be enriched with humus and other organic nutrients should be provided on a regular basis. Where Colocasia is hardy, it should be mulched well in winter to protect the central tuber.